Also known as NPO, not-for-profit organization, non-commercial organization, nonprofit etc. The amount of total Revenues greater than the amount the total expenses of a non-profit organization is referred to as surplus (not net profit). Surplus is not distributed among the members of non-profit organization rather than it is kept for growth and expansion of the organization, for example non-profit organizations use surplus to buy fixed assets such as building for the club, land, equipments etc. Charitable organizations such as Human rights groups, animal right organizations, Hospitals, health care clinics, Emergency relief services such as Red Cross, charitable schools / colleges etc. Professional Associations and Trade Associations such as chamber of commerce, Association on American Indian Affairs, American Lung Association, Association for Firefighters and Paramedics, Teacher's Retirement fund Associations etc. Welfare organizations and clubs such as Calgary women's emergency shelter, Institute of Field Research Expeditions, sports club, social clubs etc. Scientific groups such as general research groups, cancer research groups, chemistry research groups etc. The term Capital, owner’s equity or shareholders’ equity is commonly used by profit oriented organizations, while it would be inappropriate to use owner’s equity or capital in non-profit accounting since they are owned by no one. Therefore, the term accumulated fund is usually used to refer to the capital of a non-profit organization. 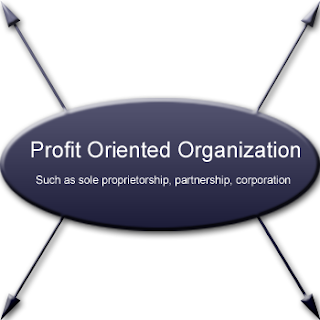 It is an income statement of a non-profit organization. All revenues (or incomes) and expenditure (or expenses) of a non-profit organization are shown in income and expenditure account.